Traditionally testimonial games were awarded to players who had played for 10 years for one club. They were also awarded to some other long serving personnel or to players whose careers were ended by injury. In former days, with a maximum wage, a testimonial game often allowed a player to buy his first house or to set him up in a post football career. Until about the 1950s, there were occasions when City’s directors awarded a cheque, it appeared to be a discretionary decision, to long serving players (and in one case, a groundsman). City have a long history in awarding players (and staff) testimonials. By the 1970s and Barry Swallow, the traditional testimonial game was becoming a testimonial season with the testimonial match being the highlight of season long series actvities which invariably included dinners, golf days, smaller events and glossy testimonial brochures. Below are details of many testimonials featuring City players and City staff, including some awarded by other clubs to people with City connections. 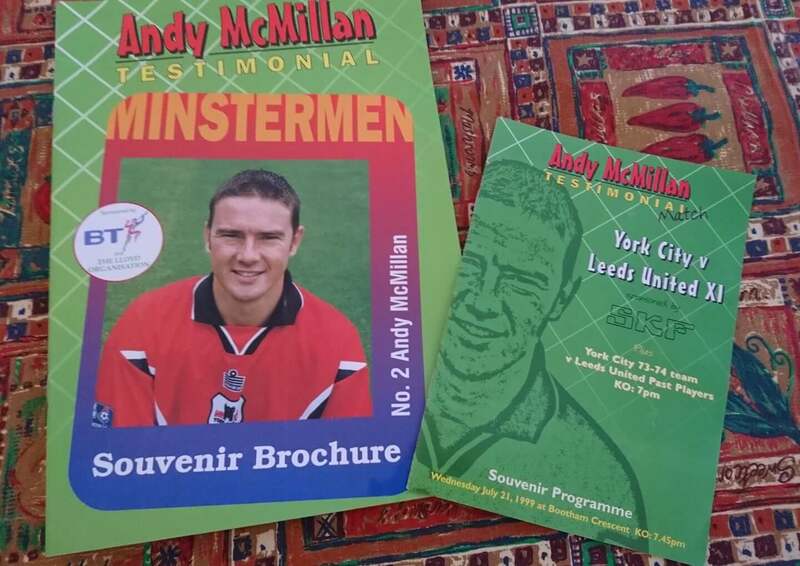 Football's authorities have to sanction all testimonials and would occasionally sanction a second testimonial for a player, such as Peter Lorimer who enjoyed testimonial's organised by Leeds either side of his spell with City. 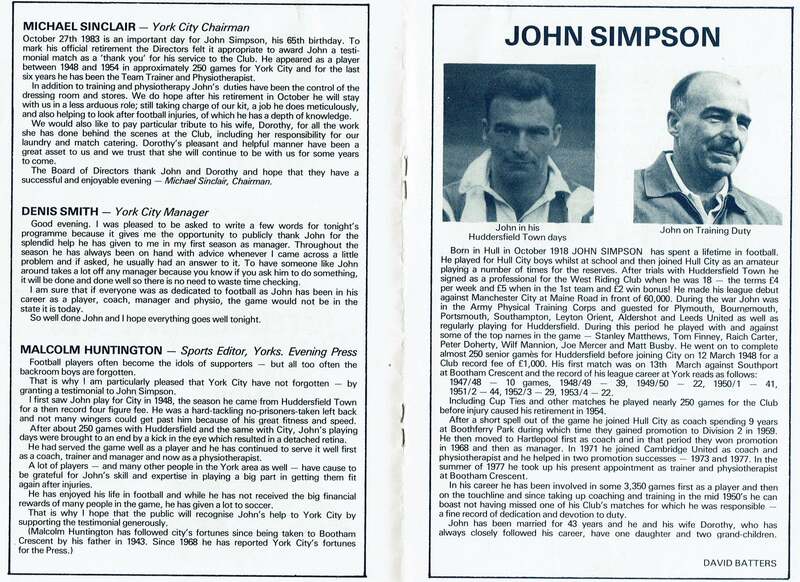 NB You'll note an almost complete lack of testimonials where York City have provided the opposition, City's trip to Scarborough for Harry Dunn's testimonial being an exception.